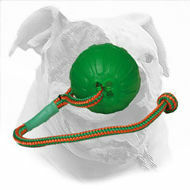 Your Bulldog deserves the best! 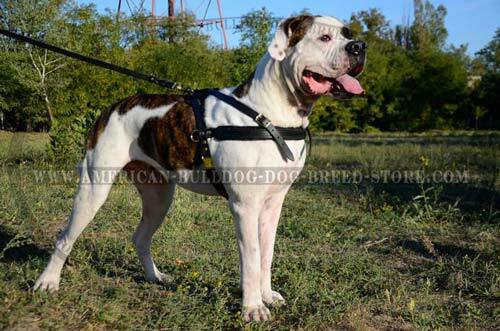 This Padded Leather Pulling and Tracking Harness is a perfect training, walking and exercising gear for your American Bulldog! It is done according to the principle that beauty is born in simplicity. 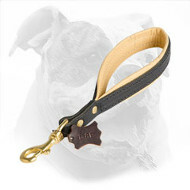 If your dog could talk he would say that this harness is his favourite one! 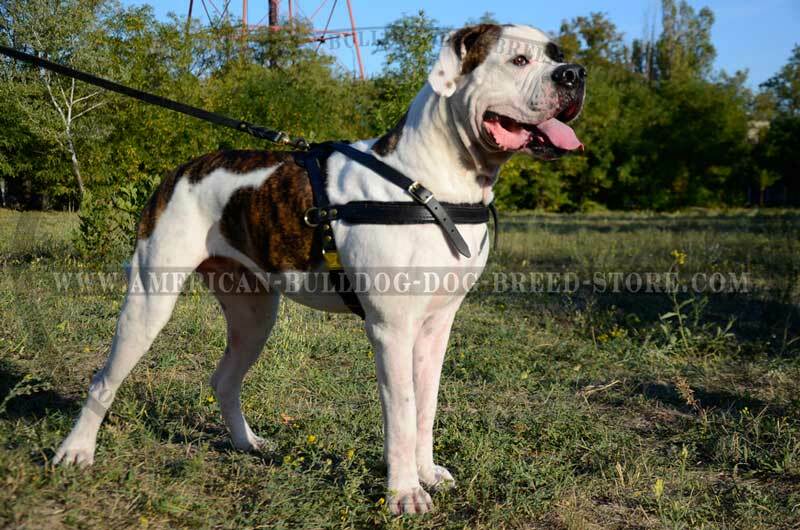 Build muscles for your Bully safely! 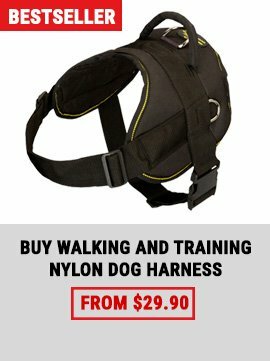 It is wonderful pulling and tracking harness due to its light weight and zero chance of restrictions in movements for your dog. 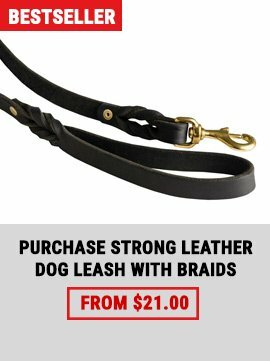 It is incredibly strong and reliable as it is made neither of fake leather, nor of leather wastes, but of 100% full grain genuine leather that will serve your dog for years! 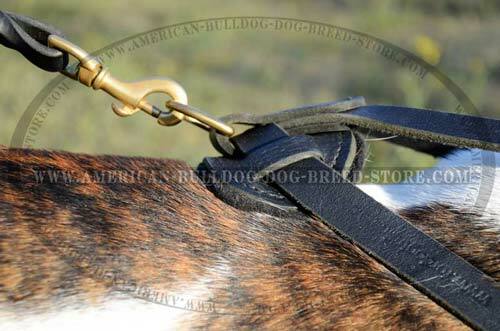 Its fittings are made of solid brass due to which they shine like gold and do not rust or corrode. 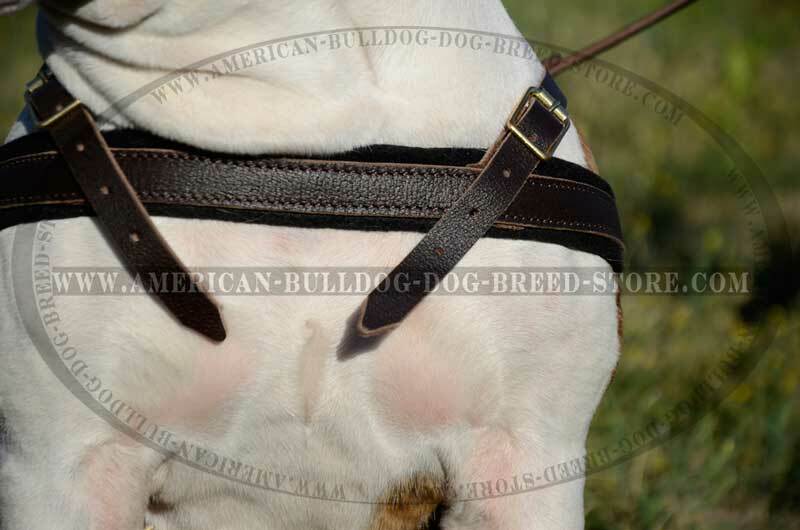 The chest strap and the back plate are padded with soft thick felt that prevents your Bulldog from rubbing his skin and possible skin irritation. 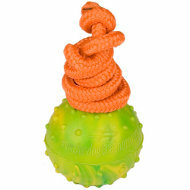 Stitching and rivets give additional strength to this product and prolong its lifespan. 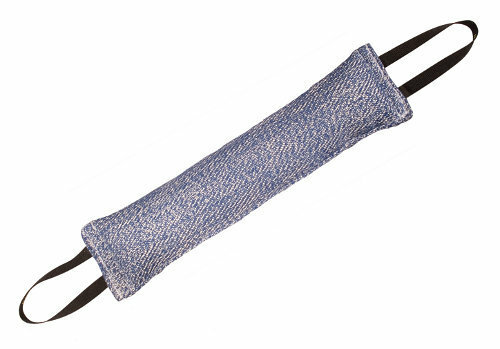 It is 3 ways adjustable. 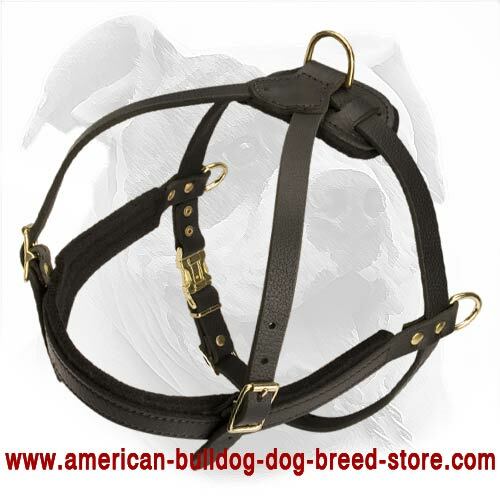 This function allows you to fit this harness better on your Bully and to fix it snug for him. 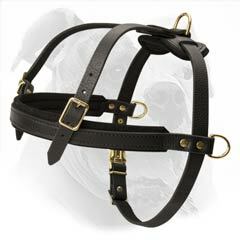 By the way, once adjusted it can be worn with use of easy quick release buckle only. Do not waste your time! 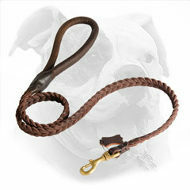 Spend for something more pleasant than harnessing your Bulldog! The chest strap has perfect width and that is why it doesn’t cut into your dog’s skin and doesn’t cause inconveniences when your Bulldog is harnessed. With the help of 2 D-rings, fixed at both sides of the harness, it is a perfect pulling device. 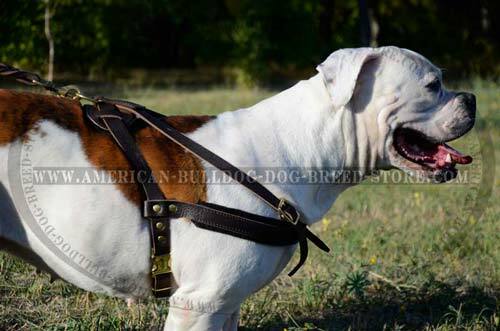 Build your Bulldog’s muscles like professional trainers do! 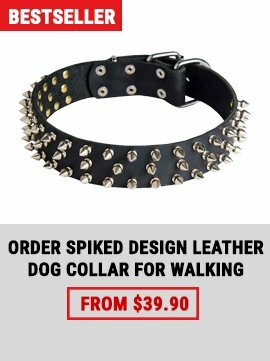 Its price is incredibly low! 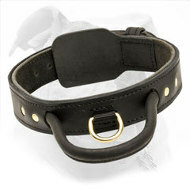 Where else you will find true leather at such low price?! Please, take measurements of your dog’s parameters properly as your Bully’s comfort depends on you. 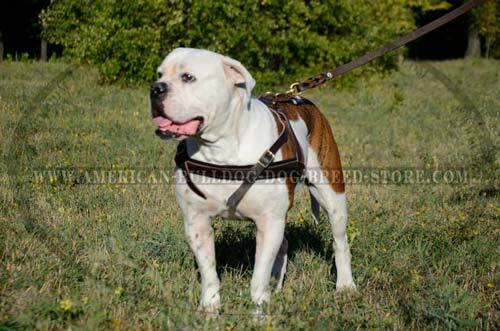 Do not wear the harness on your Bulldog if it is of wrong size. Try to use this harness only with purpose as your dog will not be really grateful if he wears it all the time. If you want to protect this harness and use it long treat it with water repellent and leather conditioner. 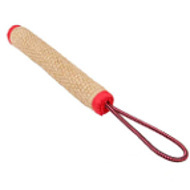 Never wash it with water or dry on the radiator as the leather will crack.